I saw this on OpenSky, a site with handpicked items from 75 of the best people in food, style, health, and design. 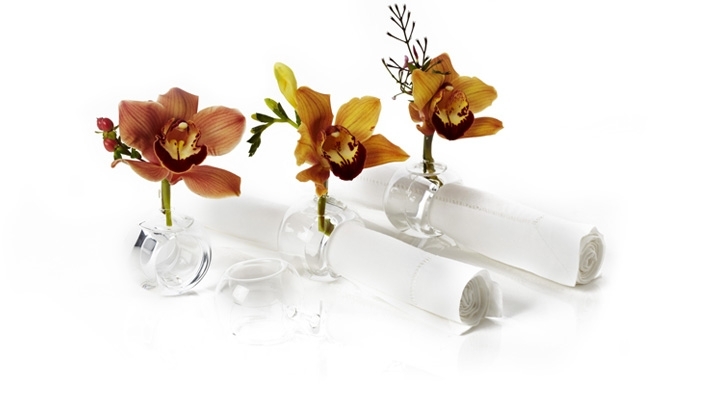 These bud vase napkin rings made out of handblown glass were a pick from award winning event designer Preston Bailey. So pretty!